Paul Coney is a well known New Zealand Artist, he was born in Harare, Zimbabwe in 1957. At the age of 20 he took up pencil portraiture, but soon became fascinated with painting, especially Watercolour at this stage in his career. Since these beginnings, Paul Coney has developed into a artist who is considered to be world class. Although starting as a Watercolourist, Paul Coney has developed into an exceptional painter of large scale Oils in more recent times. His subject matter covers the spectrum from Floral, Floral Landscape, Figurative and general Landscape to very large brilliantly executed Wave Studies and Seascapes, often incorporating figures and wildlife into these major works that exude mood, character and capture the ever changing beauty of the sea and it’s environs. Converting well to digital format, his works need to be viewed first hand to really appreciate the aura of beauty and clarity that they exude. His work will transform the ambience of any setting that it is placed in and add a strong sense of beauty and natural wonder to every situation that it is brought to. Although often literally accurate to a particular place or situation, Coney’s consumate skill is in bringing together many seemingly disparate elements into compositions of unique and intimate beauty, portraying nature in all it’s forms and cycles and incorporating the character of whatever the key elements of the painting happen to be. Paul Coney has exhibited his work through the International Art Centre in Parnell for over thirty years, as well as exhibiting through many other galleries throughout New Zealand and overseas. He spends a lot of his time fulfilling the huge demand for work that he has been commissioned to do. His paintings are held in private collections throughout the world including U.S.A., Canada, Hawaii, United Kingdom, France, China, Japan, Hong Kong and Australia and New Zealand. 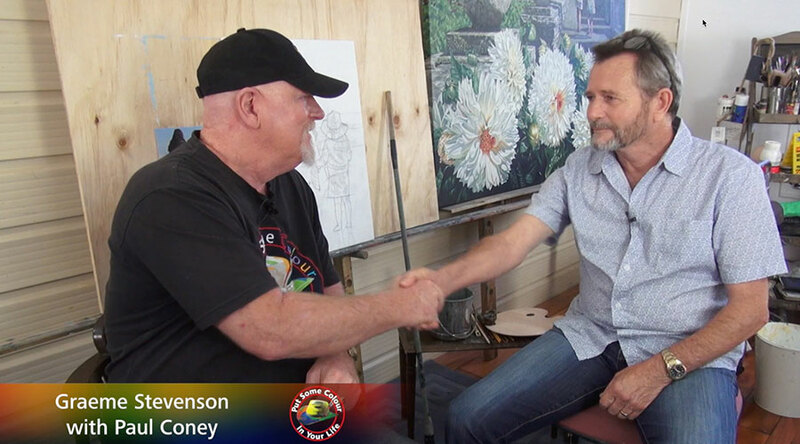 Paul runs a very successful painting class in the local town centre of Pukekohe, near to where he lives in New Zealand and will be posting tutorials and painting demonstrations online in 2019. ​If passing through the Franklin District of New Zealand where Paul lives with his wife Marietta, please feel welcome to call into their studio, contact Paul beforehand to make sure he is home.